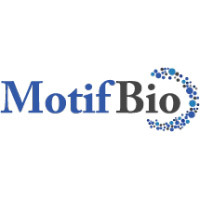 Motif Bio plc (LON:MTFB), a clinical-stage biopharmaceutical company specialising in developing novel antibiotics, has today announced that the Company has received a Notice of Allowance from the United States Patent and Trademark Office for United States Patent Application Nos. 15/586,021 and 15/586,815. The claims relate to the use of iclaprim to treat patients with bacterial infections, including but not limited to acute bacterial skin and skin structure infections, hospital-acquired bacterial pneumonia and Staphylococcus aureus lung infections in patients with cystic fibrosis. The two method of use patents will expire in November 2037. Motif Bio plc is a clinical-stage biopharmaceutical company focused on developing novel antibiotics for hospitalised patients and designed to be effective against serious and life-threatening infections caused by multi-drug resistant Gram-positive bacteria, including MRSA. The Company’s lead product candidate is iclaprim. Following positive results from two Phase 3 trials (REVIVE-1 and REVIVE-2), a New Drug Application (NDA) has been submitted to the U.S. Food & Drug Administration (FDA) for the treatment of acute bacterial skin and skin structure infections (ABSSSI). More than 3.6 million patients with ABSSSI are hospitalised annually in the U.S. It is estimated that up to 26% of hospitalized ABSSSI patients have renal impairment. Click MTFB for the full archive.